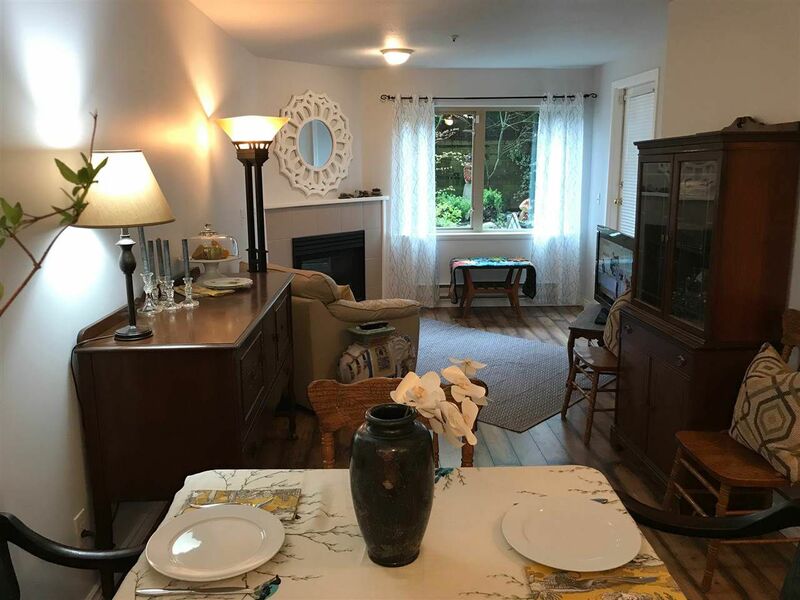 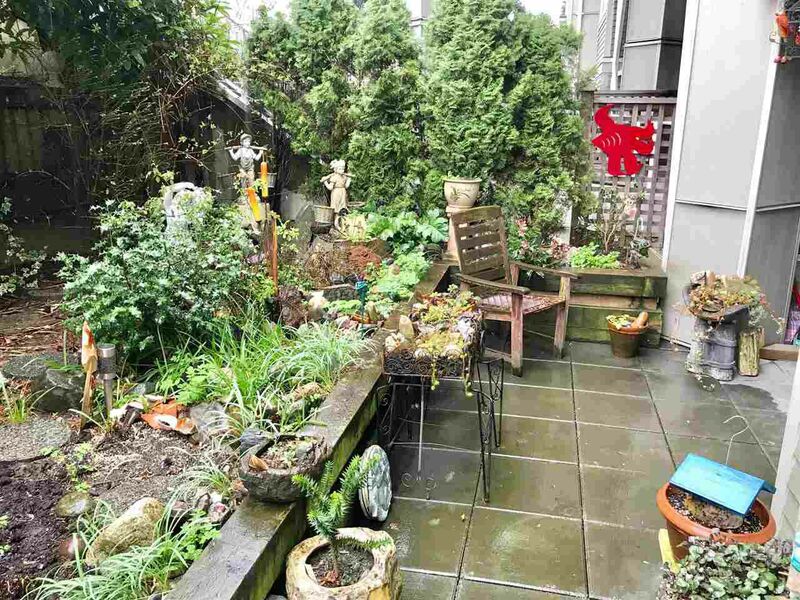 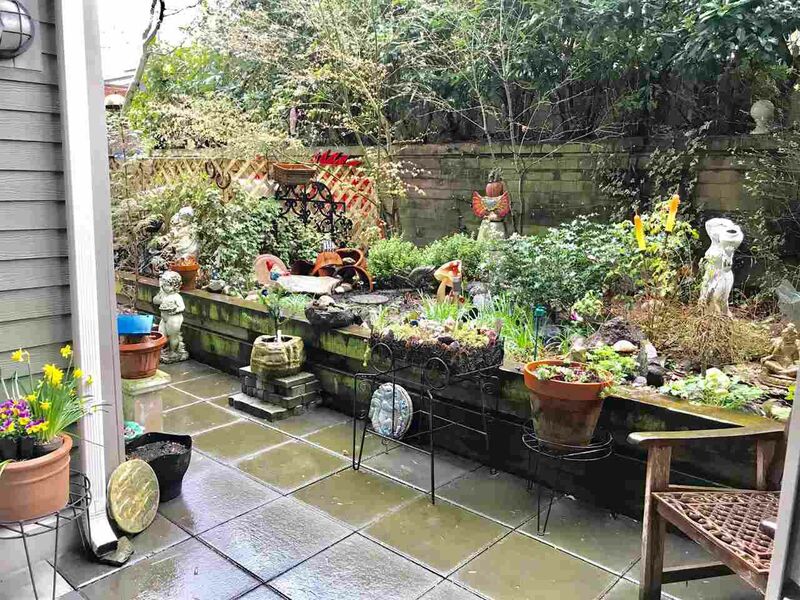 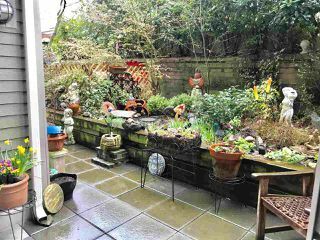 Wonderful garden apartment at Hillside Heights! 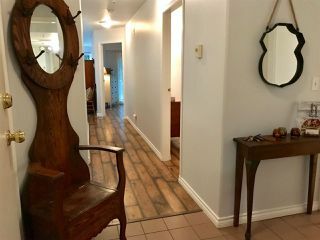 End unit in quiet 4 storey fully rainscreened building ~ 2010- hardi plank exterior! 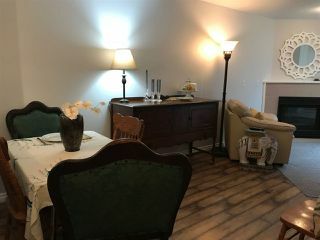 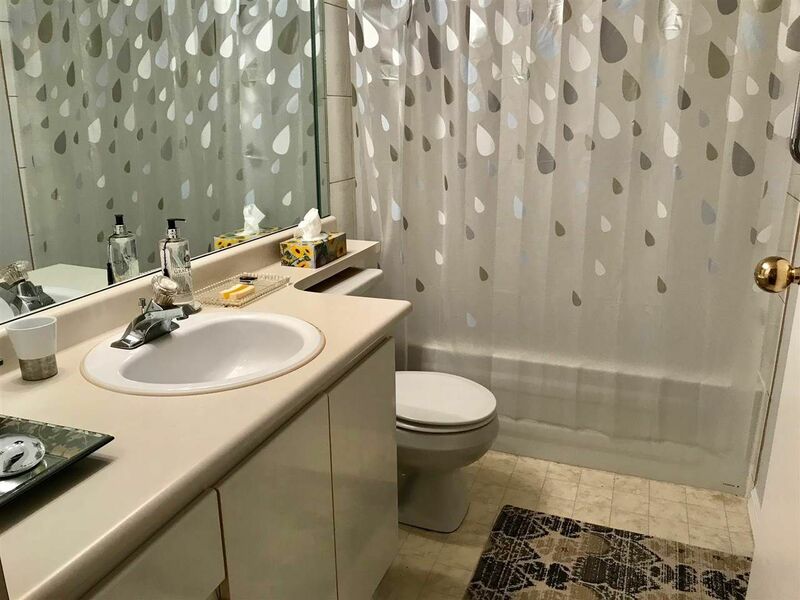 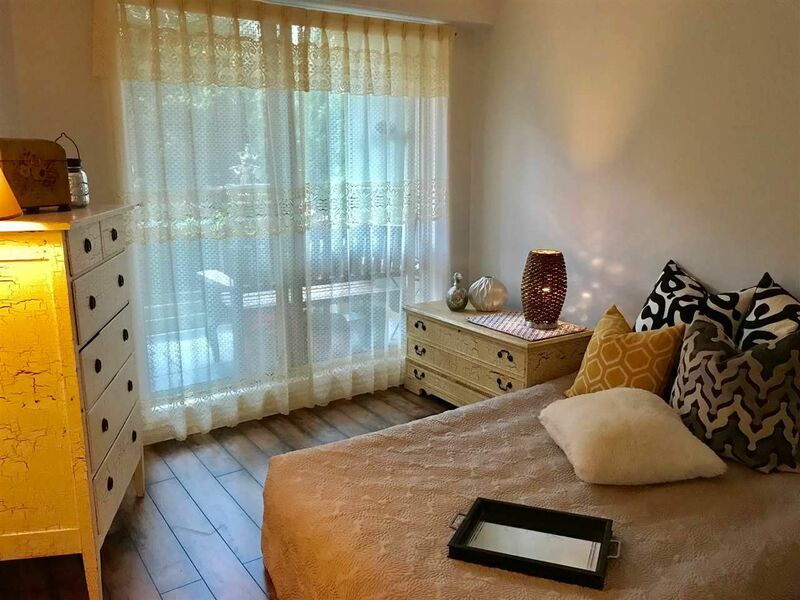 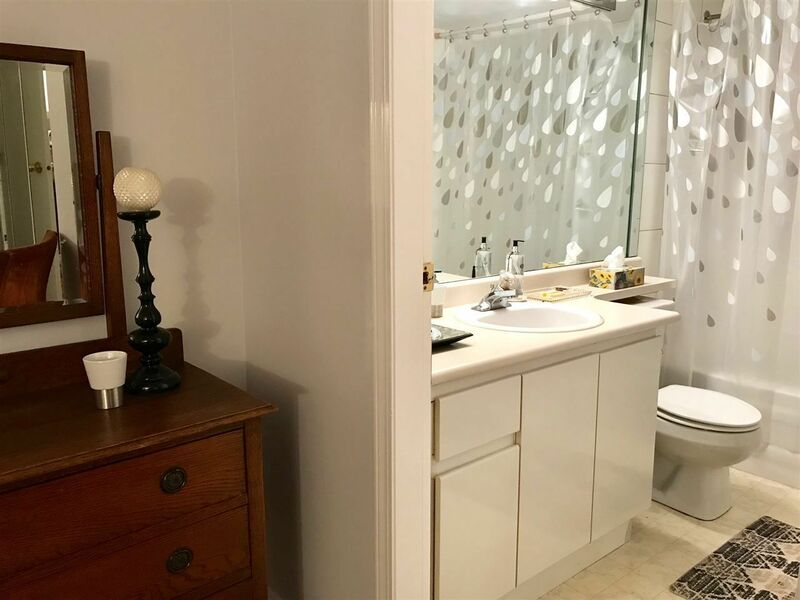 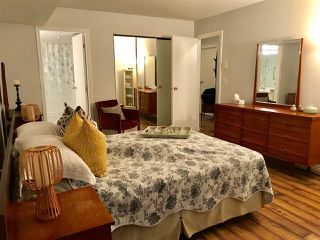 Amazing 2 bedroom, 1 bathroom unit for you, your kids & your pets. 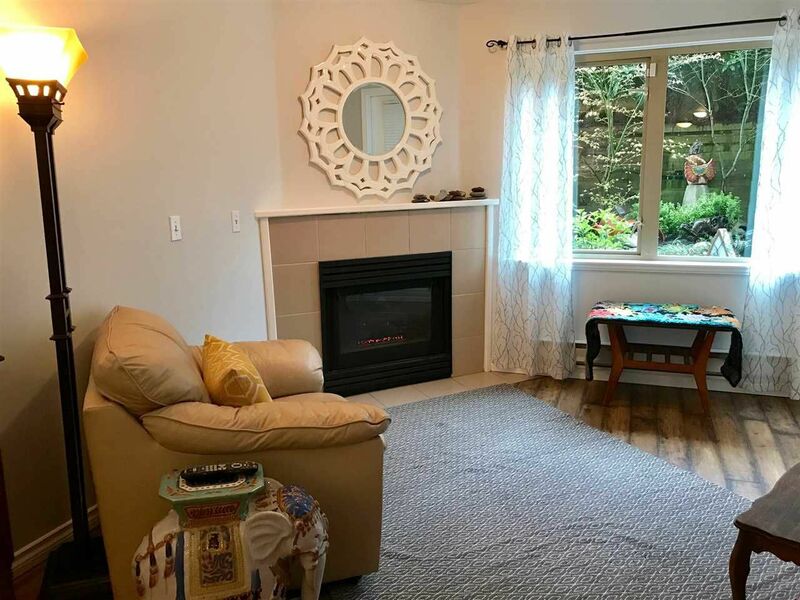 Features a corner gas fireplace + door out to your covered garden oasis. 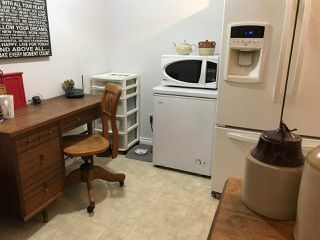 Eating area in kitchen + insuite laundry + 2 storages~ 1 insuite & 1 locker. Huge master bedroom with cheater ensuite. 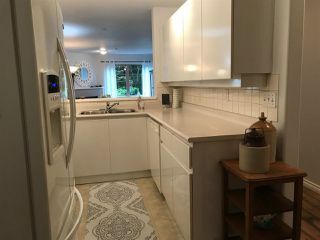 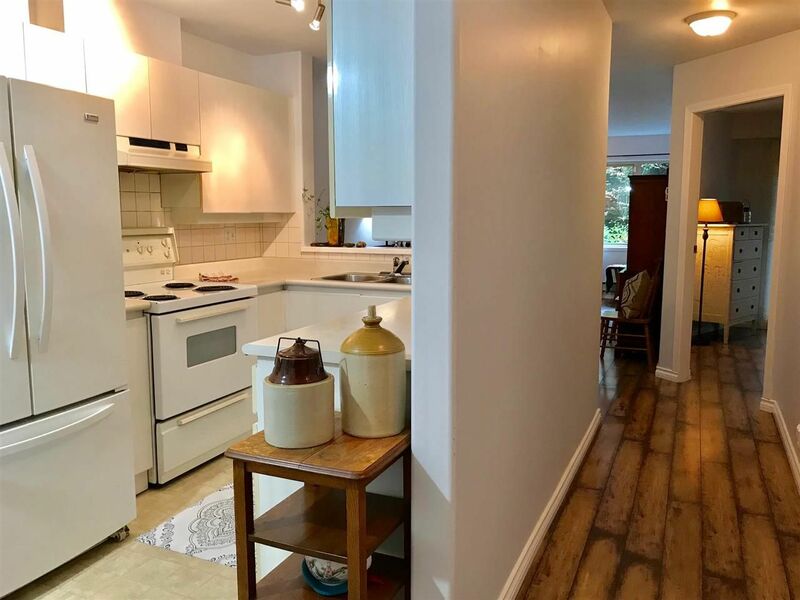 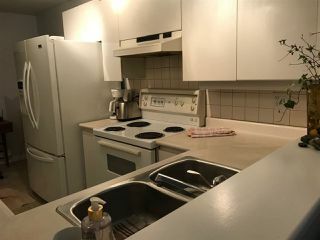 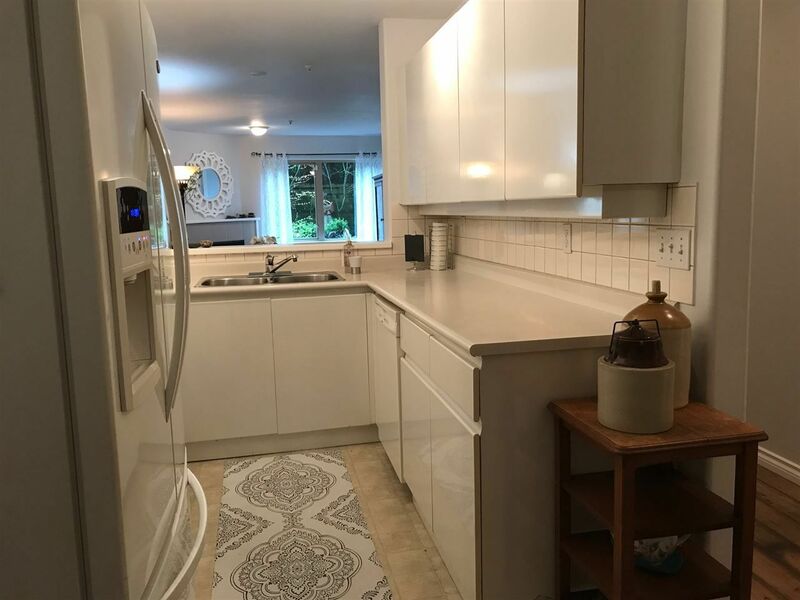 Large kitchen with open pass through to D/R. Laminate floors for easy care living. Freshly painted & clean!!! 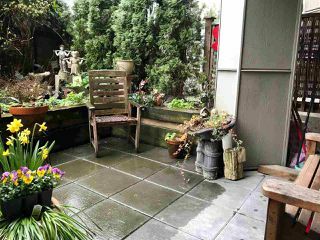 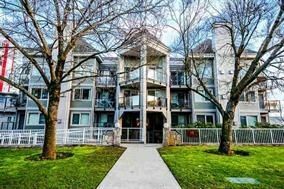 Super location, just steps to the Skytrain, restaurants & shopping. 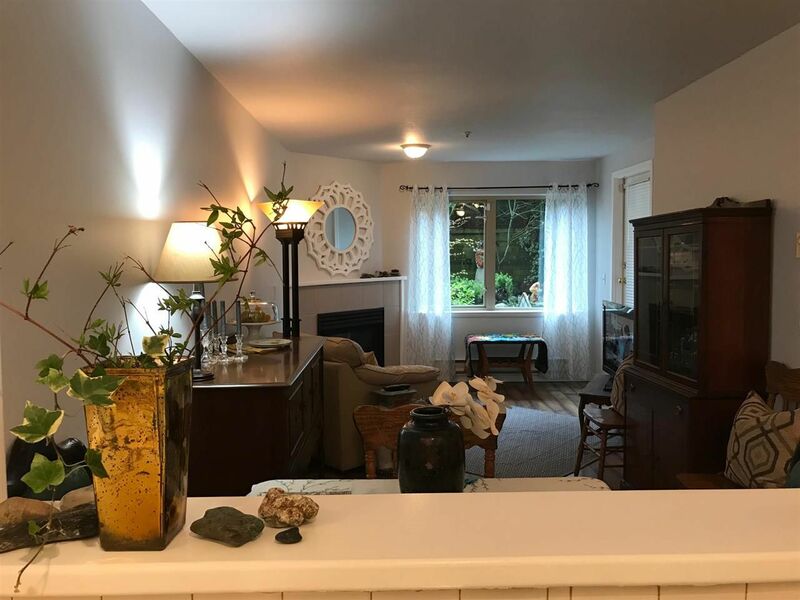 Buy with confidence- enjoy newer roof, decks, windows and updated common areas. 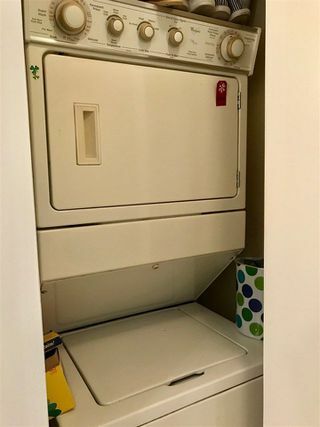 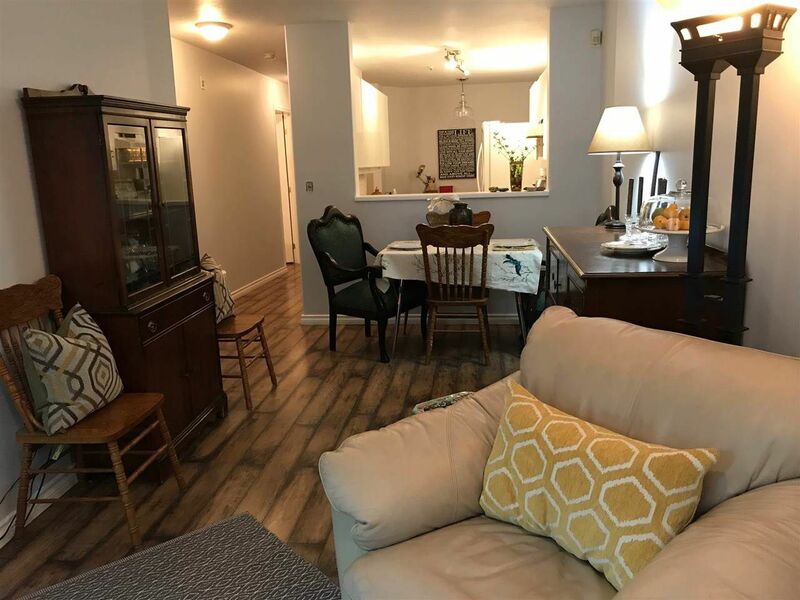 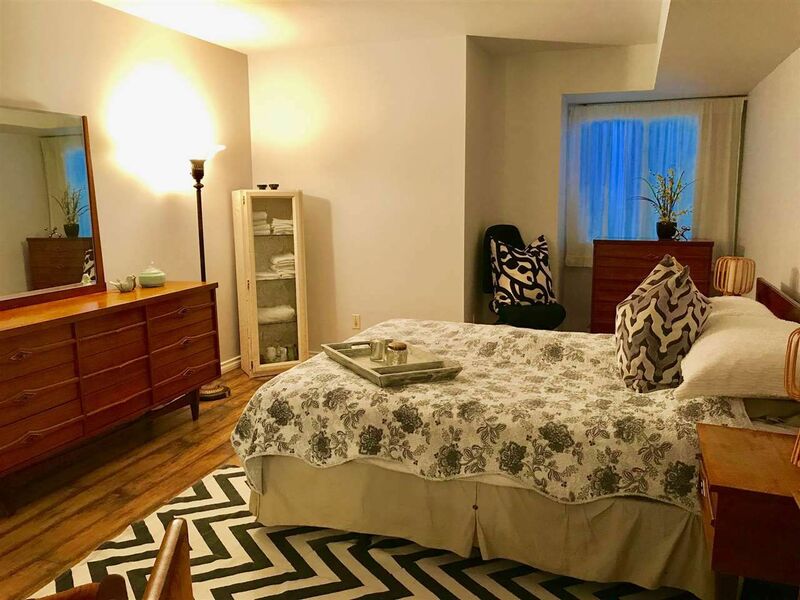 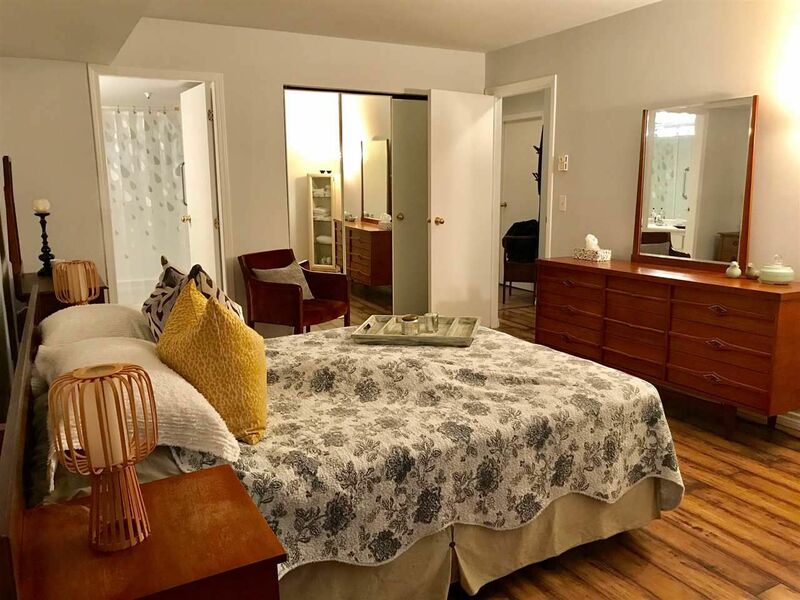 Underground parking & 2 cats welcome (no dogs) Be quick on this beauty... Move in right away! Immediate possession available!